Because my wonderful “publisher,” Rick Schulte is out of the office for a couple of weeks, I am writing this a bit early. This means that, as I write this post, I don’t know if you came to our workshop at Ministry Fair so, in case you missed it, I want to supply you with some of the resources that Nuts and Bolts shared in our discussion of The New Jim Crow: Mass Incarceration in an Age of Colorblindness. Many thanks to Joyce Munro of Diocesan Council’s Resolution Review Committee for sharing these resources with us. This book really challenged me because it tells of stories and political decisions about which I was completely ignorant. I’m not proud of that fact but there you have it. During the “War on Drugs” and the “War on Crime,” I drank the Kool-Aid, so to speak, of the media representation of the “facts.” I’m not proud of this but I had no context at the time for me to look deeper. Raising three young children, I stayed pretty close to my local community, a bucolic, rural township in New Jersey where everyone looked and believed pretty much like me. 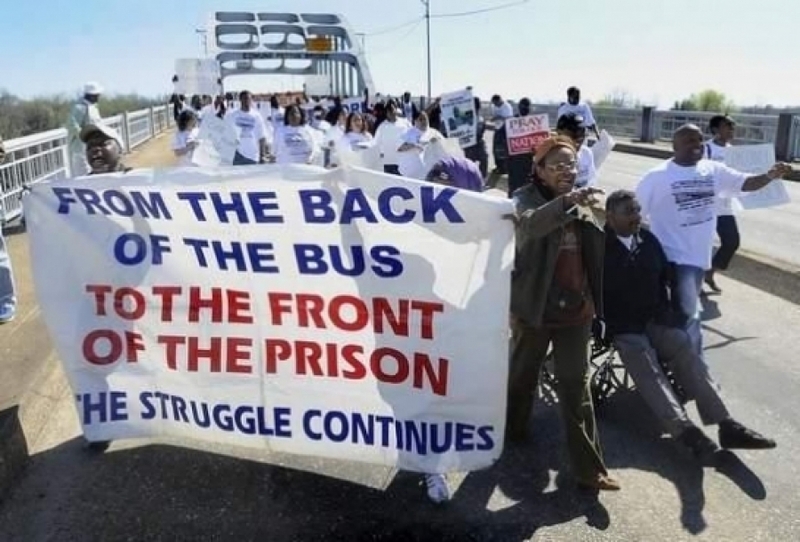 My experience since moving to Michigan 14 years ago has opened my eyes to the reality of the struggles and obstacles that so many people face on a daily basis. It is time to grow up, albeit a little late. If you have not read this important book, I hope you will add it to your reading list soon! 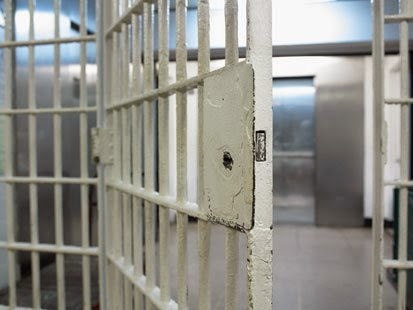 Having a parent incarcerated is a stressful, traumatic experience of the same magnitude as abuse, domestic violence and divorce, according to a report released Monday by the Annie E. Casey Foundation. The report, A Shared Sentence: The Devastating Toll of Parental Incarceration on Kids, Families, and Communities, finds more than 5 million kids in the U.S. – 228,000 in Michigan – have had a parent in jail or prison at some point in their lives. Michigan ties with five other states for third in the percentage of kids who have had an incarcerated parent (10 percent), falling behind Kentucky (13 percent), and Indiana (11 percent). 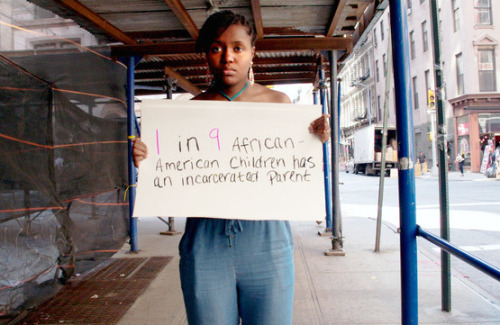 An overwhelming percentage of incarcerated parents are fathers, many of them young. From 1980 to 2000, the number of kids with a dad in prison or jail rose by 500 percent. About 45 percent of men in state and federal prisons, age 24 or younger, are fathers. There are also racial disparities. Compared with their white peers, African-American kids are seven times, and Latino kids two times, more likely than white kids to have a parent incarcerated. Losing a parent who is the breadwinner, often for a prolonged period, leaves families scrambling to cover basic needs along with legal and other court fees. When fathers are incarcerated, family income can drop by an average of 22 percent. When no parent remains to care for a child, extended family members step in — often without proper support. Parents left behind are more likely to cite problems with child care as a reason for quitting or not taking a job. Mothers also report being unable to pay for necessities such as food, utilities, rent and medical care for their children. The trauma of being separated from a parent, along with a lack of sympathy or support from others, can increase children’s mental health issues, such as depression and anxiety, and hamper educational achievement. Kids of incarcerated mothers, in particular, are at greater risk of dropping out of school. Teachers can further undermine children’s performance and self-esteem by lowering their academic expectations. And when these kids grow up, they are more likely to contend with poor mental and physical health. One study found that if incarceration rates hadn’t increased during a 24-year period, the U.S. poverty rate would have fallen by 20 percent, rather than remaining relatively steady. The sheer number of absent people depletes available workers and providers, while constraining the entire community’s access to opportunity — including individuals who have never been incarcerated. Even for residents who have had no contact with the criminal justice system, heightened police vigilance can cast a shadow over their children, families and homes. Time behind bars limits parents’ options for steady employment that pays well enough to support their kids. Their lack of training or work experience and an interrupted or illegitimate employment history, combined with typically low literacy levels and educational attainment, close the doors to most family-supporting jobs. Having to check the box on a job application that confirms their criminal record seals those doors tight. Returning parents struggle to find or maintain safe, stable housing for their families or, if they live apart, just for themselves. Although the U.S. Department of Housing and Urban Development’s public housing regulations permit them as residents, local housing authorities can exercise discretion — and frequently do, with blanket bans on people with criminal records. Private landlords automatically reject these individuals without considering whether their criminal histories pose any danger to other residents. Strengthen communities, particularly those disproportionately affected by incarceration and reentry, to promote family stability and opportunity. There are more than a quarter of a million kids struggling with an incarcerated parent in Michigan, and that number is too high for them to continue to be disregarded. We have to address this issue from both sides—working to pass reforms to reduce incarceration in the first place, and addressing the necessary supports to help these kids through difficult times, and connect their parents with the proper job and education training assistance upon their return. Our conversation is only the beginning. We need to keep telling our stories, we need to keep listening and learning, and we need to find ways to make a difference. move every human heart and especially the hearts of those who govern this land, that barriers which divide us may crumble, suspicions disappear, and hatreds cease; that our divisions being healed, we may live in justice and peace; through Jesus Christ our Lord. Amen. Thank you, Judith, for sharing these resources. The book is now on my Kindle so we can discuss it when I’ve finished reading.